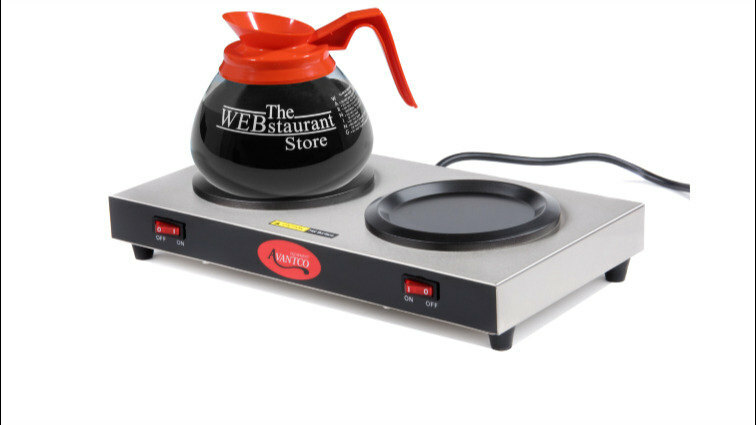 Keep your coffee hot, delicious, and ready to serve with the Avantco W52 double burner decanter warmer! This decanter warmer features 200W of heating power and two Teflon®-coated aluminum dishes sure to keep your coffee hot without sticking to the decanter. 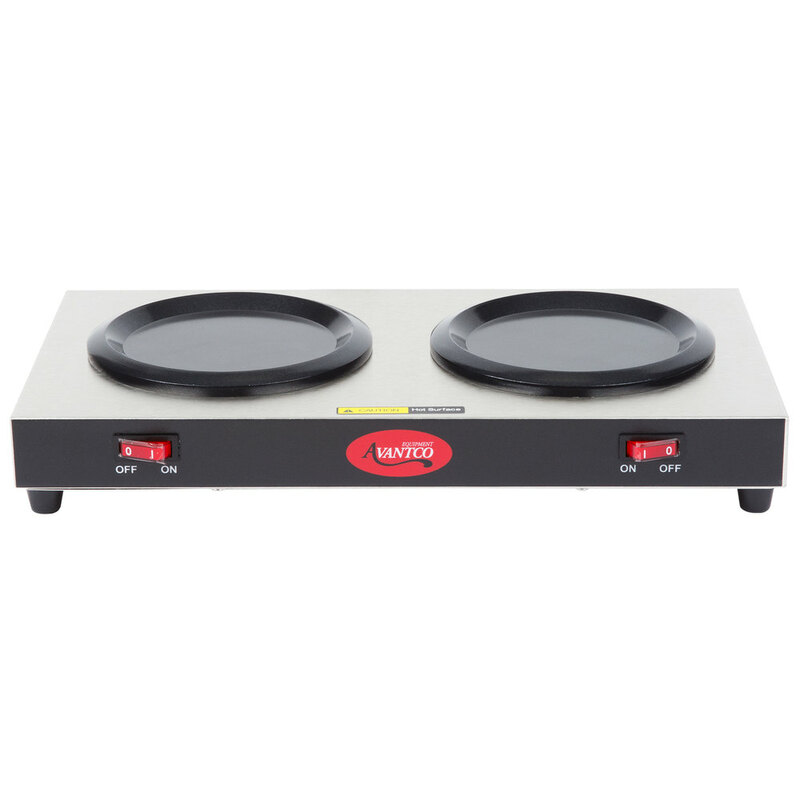 It comes with separate on/off switches for simple and convenient operation, and the exterior is made of stainless steel for outstanding durability. The Avantco W52 requires a 120V electrical connection. You cannot beat the price of this burner. It works as well as any other brand. It is easy to clean and easy to use. 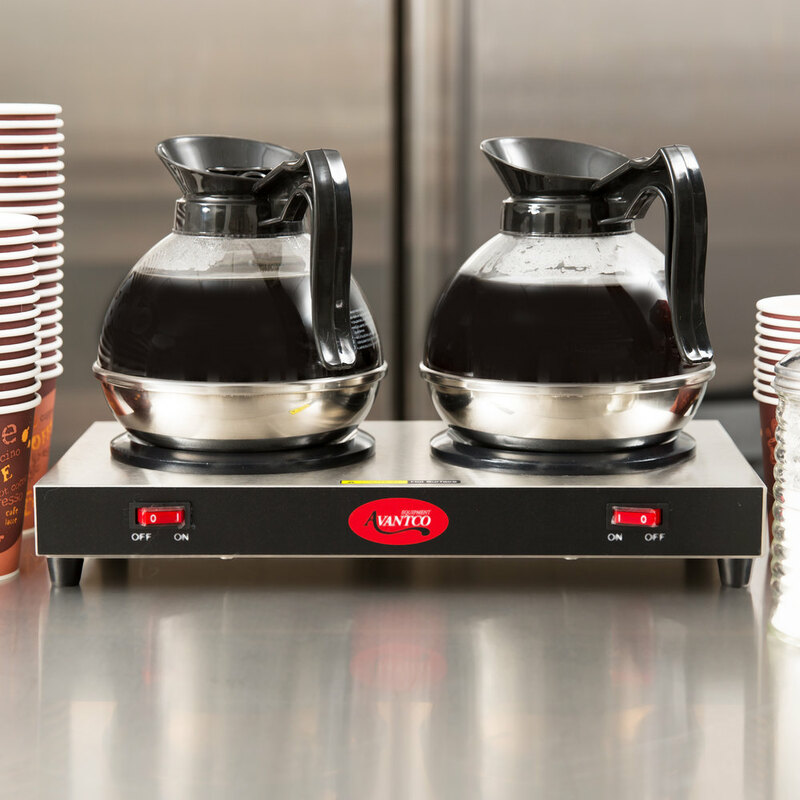 The Aventco W52 Double Burner Decanter Warmer is perfect for our coffee bar in our lounge. We don't have a water source in that area so we keep it old school with this warmer and pots of coffee. This warmer heats up quickly and stays hot as long as it’s on. It keeps the coffee warm and tasting fresh. It is very easy to clean and use. 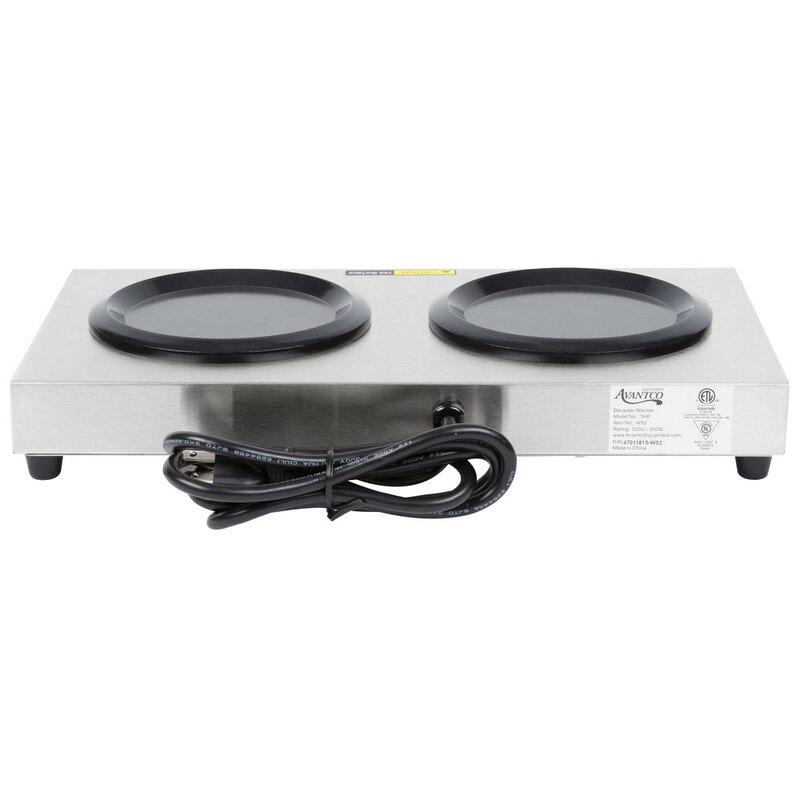 The Avantco double burner warmer is good for storing two decanters for extended periods of time. it warms up fast and lights up to let you know when it is on. We have used this coffee warmer for years. It keeps everything nice and hot we have never had any problems with it malfunctioning. We would definitely purchase this item again. Bought this for a catering functiom where we needed extra coffee and hot water. This was very affordabe and Works great and we would all definitely purchase this again. Highly recommend this product if you are looking for inexpensive way to keep coffee, tea warm. Turned out to be great product. Exactly what I was looking for. Compact. We us this on busy holiday services when we need a constant flow of coffee. Keeps coffee hot, what more can you ask for!!! Great item would recommend this to everyone whom has a restaurant or a business. It keeps coffee nice and warm and even temp. Thank you! Great burner! We have a small cafe and and this works perfectly for our use as well as our customers! Would strongly recommend for anyone. Excelent product, it has protection for over heating, and is all stainless steel i do recomend it fully, you wont regreat. Excelent quality at all. These are fantastic burners! 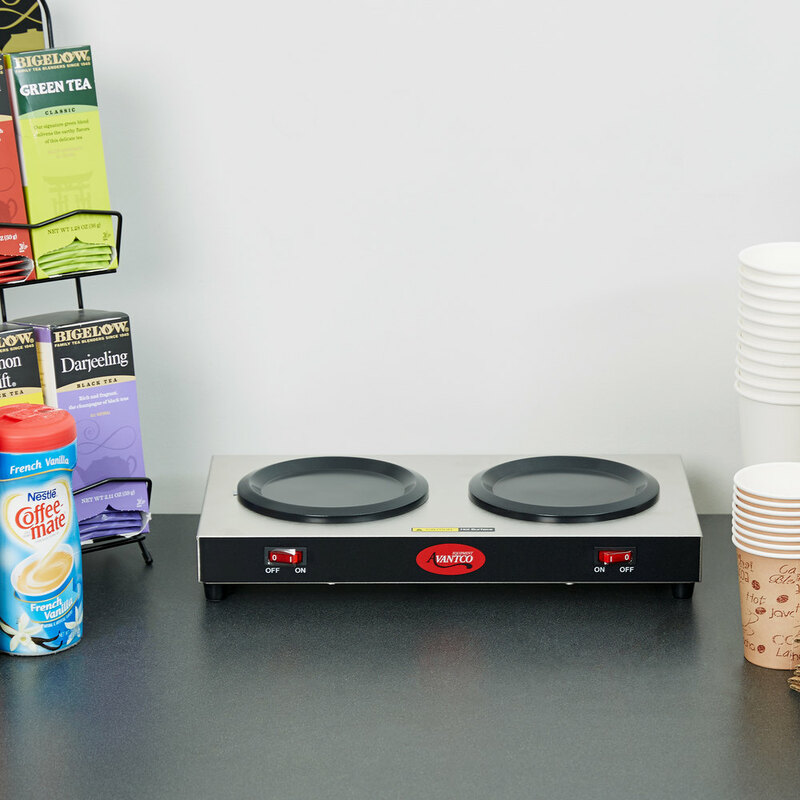 They keep our coffee nice and hot, are easy to set up, do not take up space and not to mention they look sleek! Great purchase! My company has three of these! They are great in the dining room, and they can be placed everywhere! We put them on tray stands and counters!! These are perfect for keeping your coffee hot. No one likes a cold cup of joe in the morning. The side by side burns are perfect for caffeine and decaf. great for when we need extra pots of coffee on the other side of our restaurant for the busier nights. Great price as well. lOve! We have one of these at my store. Goes along great with our bunn brewer and keeps the coffee at a good temp tasting good and not burnt.